The Waterside District has undergone a $40 million renovation. When it opens on May 4 after a $40 million facelift, the venue will include an 8,000-square-foot mixed-use space for weddings and corporate events and a number of restaurants new to Hampton Roads. The site’s focal point, though, will be The Market, a 30,000-square-foot, two-level area featuring a variety of eateries and craft breweries. “We feel that Waterside has a good opportunity to be a destination as well as a local hangout,” says Glenn Sutch, Waterside’s president. When it originally opened in 1983, the site, then called Waterside Festival Marketplace, signaled the beginning of a renaissance in downtown Norfolk. Waterside, however, ultimately became a victim of the redevelopment it spurred. Overshadowed by the MacArthur Center mall and Granby Street’s array of fashionable restaurants, Waterside’s fortunes waned. 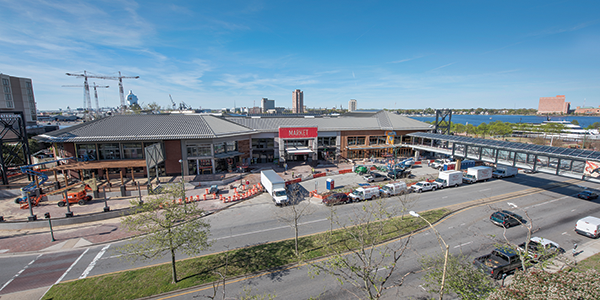 In 2013, city leaders turned to The Cordish Cos. for Waterside’s redevelopment. The Baltimore developer has a track record of successful projects in its hometown and Charleston, S.C. The Waterside District joins a list of big-ticket projects springing up in Hampton Roads. 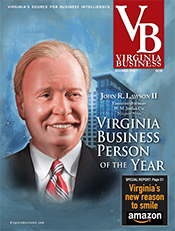 The group includes the $175 million Main Hotel and Conference Center in Norfolk, a proposed $220 million privately owned arena in Virginia Beach and the $450 million Tech Center in Newport News, a 100-acre, mixed-use development that combines research labs with shops, apartments and entertainment. 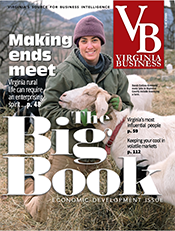 Diversification is expected to help stimulate a regional economy that still lags behind comparably sized areas in recovering from the economic downturn that began nearly a decade ago. The Old Dominion University Economic Forecast for 2017 shows Hampton Roads can expect to add 3,800 jobs this year. That gain still would leave the region below its peak of 775,000 jobs in 2007. HREDA has crafted an ambitious five-year strategy to attract diverse businesses to the region and create 71,000 jobs, including 32,000 higher-wage positions in industries such as corporate, professional and financial services, health care, manufacturing, and maritime and supply chain management. Florence Kingston, Newport News’ economic development director, agrees that Hampton Roads must reduce its reliance on the military. 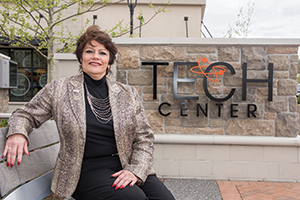 The city already is home to firms such as Canon Virginia and Alion Science & Technology, and construction soon will be underway on the first research building at Tech Center Research Park, a 50-acre site adjacent to the Thomas Jefferson National Accelerator Facility. Emphasizing entrepreneurship, the park, part of the 100-acre Tech Center, will provide 1 million square feet of office and laboratory space for high-tech companies performing advanced research. 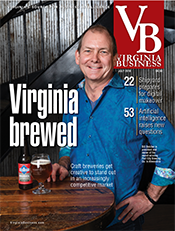 “We have a good cluster of companies that do advanced manufacturing, and we’re building a welcoming environment of smaller business startups through the Tech Center,” Kingston says. Weddle believes Hampton Roads can play off Newport News Shipbuilding’s expansion without becoming further dependent on military dollars. “We need to build on our military strength but not rely on it by marketing the region during more prosperous times and investing in infrastructure, sites and facilities, education and training as the region prepares for non-military dependence,” he says. 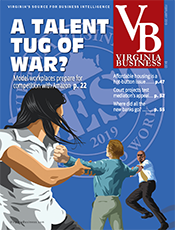 In addition to the opening of The Main and Waterside, Norfolk is raising its profile with a big jobs boost from New Jersey-based ADP (Automated Data Processing). The human resources company plans to hire 1,800 employees to staff a hub in downtown Norfolk. 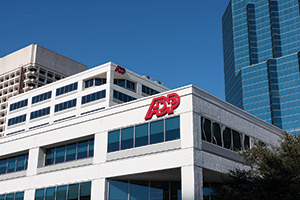 ADP has invested $32.5 million in revamping 286,000 square feet of a formerly empty office tower. Retailers also are attracting interest in Norfolk. The first phase of the long-awaited $75 million Simon’s Norfolk Premium Outlets is set to open this summer, and a 332,000-square-foot Ikea store will open next year. Next door in Virginia Beach, the city has struck a deal with United States Management to proceed with the 18,000-seat Virginia Beach Arena. If everything falls in place, the privately owned facility could open as soon as 2019. A much smaller venue, the 300-seat Zeiders American Dream Theater, is scheduled to open next spring at the city’s bustling Town Center, part of the new phase of development there that will include apartments, retail, restaurants and a public plaza. 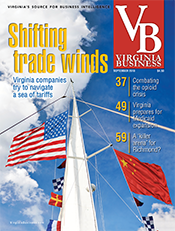 Virginia Beach also is poised to become an international digital port as the only landing point on the mid-Atlantic coast for transoceanic cables. Facebook, Microsoft and Telefonica have joined forces to build a 4,000-mile undersea cable from Virginia Beach to a data hub in Bilbao, Spain. Projected to be operational by the end of the year, the cable is intended to meet increasing demand for high-speed, reliable connections for cloud and online services. 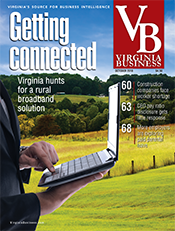 A second fiber cable running from Rio de Janeiro to Virginia Beach should be ready early next year. “It’s the highest-capacity, fastest cable to come across any ocean,” says Hudome. The new generation of cables creates a need for data centers. First up is Globalinx Data Center’s 10-acre, 138,000-square-foot data center at Corporate Landing Business Park in Virginia Beach. NxtVn, a Dutch firm, also plans to build a data center park off General Booth Boulevard. NxtVn also wants to invest in another cable, Midgardsormen, that would connect Virginia Beach to Eemshaven, Netherlands. 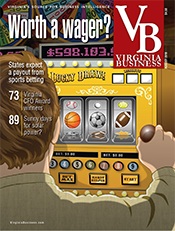 “Virginia Beach is geographically in the right spot,” Hudome notes. 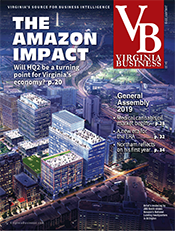 “It’s a very desirable place to build a cable landing station and data center.” The industry is expected to lead to significant capital investment and job creation in Hampton Roads and the state. “This is a brand-new industry for us, so we’re still seeing how it’s going to develop, but the closer we get to the cable landing, the more interest we’ll get from data centers,” Hudome adds. 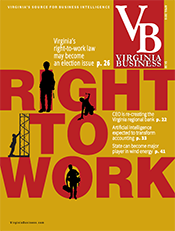 Hampton Roads colleges, universities and technical institutes are instrumental to the region’s progress as they seek to meet the needs of today’s workforce. This fall, Virginia Wesleyan College will offer its first graduate degree programs — a master’s in education and an online MBA. The private, liberal-arts college also plans to begin an online degree completion program for working adults. 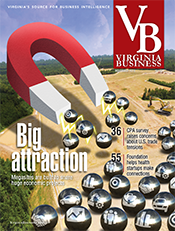 Bordering Norfolk and Virginia Beach, Virginia Wesleyan is involved in a construction boom. The 40,000-square-foot Greer Environmental Sciences Center will open this fall with research labs dedicated to Chesapeake Bay fisheries, geology and hydrology. 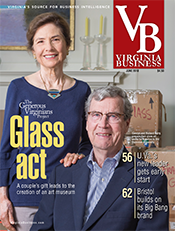 “It will be second to none,” says Virginia Wesleyan President Scott Miller. “It will give us a niche program in environmental science.” Through a dual-degree program with Duke University, students can earn bachelor’s degrees in environmental science after completing three years at Virginia Wesleyan before pursuing master’s degrees in environmental management at Duke. “We intend to graduate top students who will go out and make a difference in the environment,” Miller says. 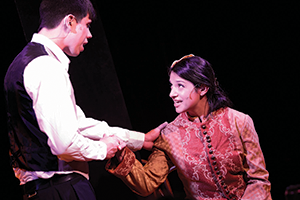 Construction is expected to start this fall on apartments for upper-level, graduate and international students and faculty and staff, while ground could be broken on a $14 million performing arts center next year. Meanwhile, applications are up significantly. 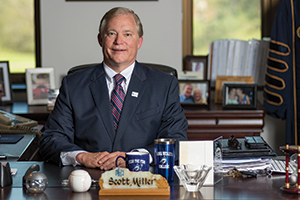 Miller expects enrollment to jump from 1,400 to 1,700 students during the next three to five years. The college also plans to become a university later this year.